Gran Turismo will be turning 15 years old next week, and Sony will holding an event at the Silverstone Circuit in the U.K. on May 15th. The best selling racing series has been a staple of the PlayStation library for a decade and a half, but long periods of waiting between each release has left some fans impatient. Gran Turismo 6 has been no exception. Rumors of its development have been widely known for over two years, but Sony has yet to officially comment on the project. All that is expected to change at the event next week where designer Kazunori Yamauchi will make an announcement regarding the "future of the brand." "The event will be a celebration of all that Gran Turismo has come to represent to a community of millions all over the world, and will involve many of the car manufacturers who have been part of that incredible 15 year journey. At the event, Kazunori Yamauchi will also be making some exciting announcements about the future of the brand." A lot of speculation has been circling around Gran Turismo 6. Release dates and box art have popped up on retail sites, unofficial announcements have been made about it being a PlayStation 3 release in 2013, and car companies have been mentioning it despite the silence from Sony. 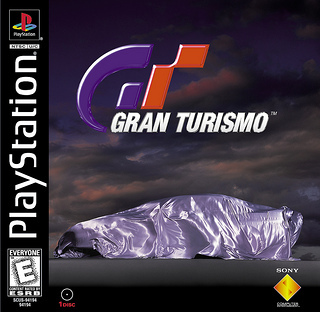 If Gran Turismo 6 is confirmed to be a PlayStation 3 release, do you think Polyphony will have any details about their upcoming work on the PlayStation 4? How long will it take before Gran Turismo makes the console generation jump?